It seems that if we spend more than a week in any one spot, we get antsy. 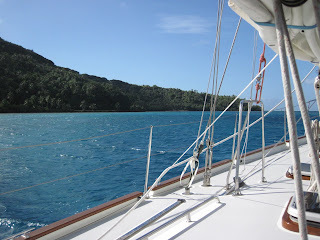 So, after ten days in Papeete (seven of them being at the Yacht Club de Tahiti), we decided to cast off our mooring line and check out more of the Society Islands. 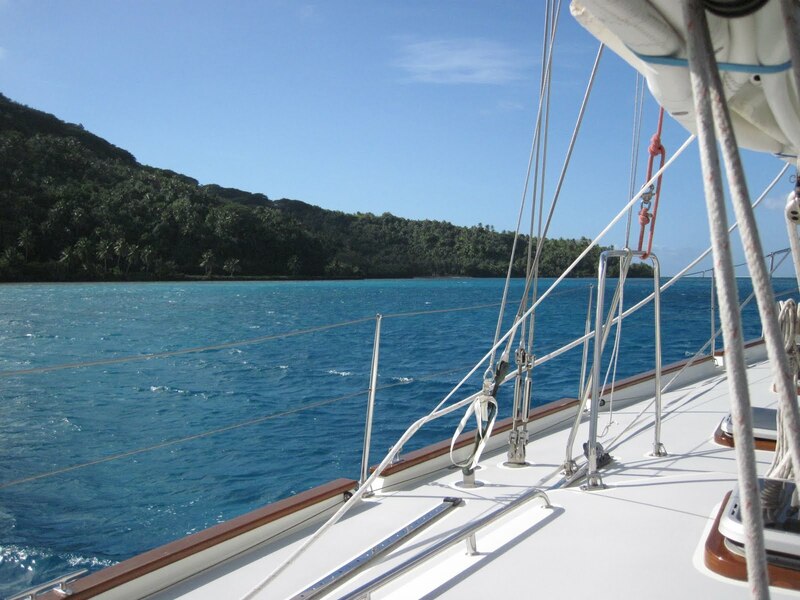 The obvious choice would have been to sail over to Moorea, which is only fifteen nautical miles away but we’ve never been ones to make the obvious choice. 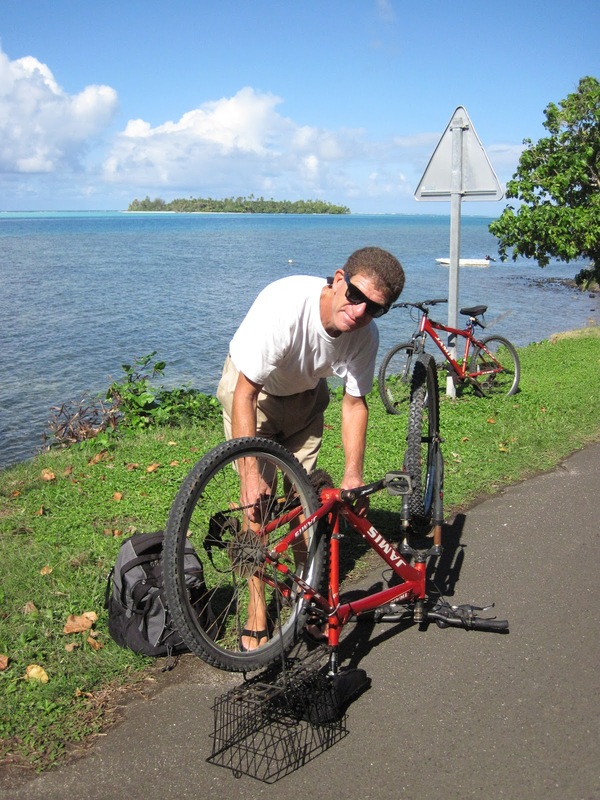 Instead we headed to Huahine, about ninety-five miles northwest of Papeete. Since we wanted a morning arrival, we left the yacht club at about 1500 on Sunday and after a very rolly sail, we entered the northern pass at about 0900 the following morning. Our friends, Beth and Norm, on Sarah Jean II, were anchored in the Baie D’Avea, on the southwest corner of the island. I had a problem with this as our chartplotter had red lines running through the bay, just like it does for every other hazard. We talked with them on the radio and they convinced us that it was protected and had good holding. We motored for about five miles, between the island and the coral reef that surrounds it, completely transfixed with the staggering beauty of the island. Dark, dark green foliage covered the steep slopes that rose from the water’s edge, with sheer cliffs and spiky crags that were often shrouded in clouds. The route was well-marked but still had us crossing some places where we had less than nine feet of water under our keel. The bay turned out to be as close to ideal as we could hope for, with clear water and just a few boats. One of the boats was Mahina Tiare, the boat that’s owned by John Neal and Amanda Swan-Neal, who are world-famous cruisers and have written much on cruising. I went over and introduced myself but only stayed a minute as they were in the middle of a class. They offer berths on their boat for want-to-be cruisers. They were very gracious and gave me a grapefruit. That night we had dinner on board Sarah Jean II. 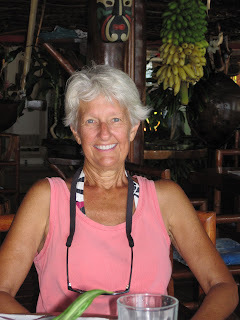 At dinner, Beth and Norm told us that one of the pensions on shore rented bicycles so in the morning we headed into shore and in minutes were wheeling our way on the empty asphalt pavement towards the southern end of the island. At first, it didn’t matter too much that none of the bicycles could shift gears as along the shore it was pretty flat and the riding was easy. As we got further around the island, the road turned inland and became steeper. To compound things, the bike I was riding had additional problems and it would feel like there were teeth missing on the sprockets. We wound up walking the bikes up the steeper grades. 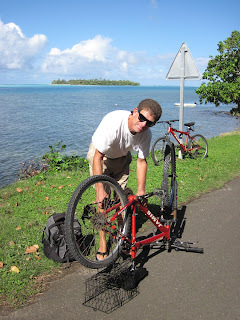 After twelve miles, we had completed our circumnavigation of Huahine Iti and completely soaked in sweat, returned the bikes. We had been told that the restaurant at the pension served a fantastic sandwich they called The Killer. Ruthie and Corie split one and I ordered a whole: Almost two feet long, it’s a baguette stuffed with grilled fish and French Fries. You get your choice of sauce – Ruthie and Corie ordered the vanilla/coconut and I ordered the House Special. The only bad thing was that I ate all of it. 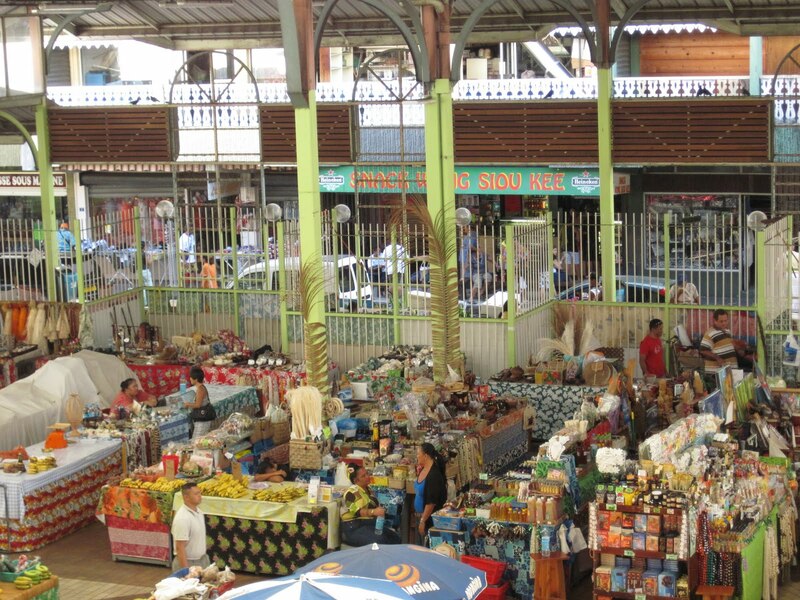 We’re looking forward to the Tahiti-Moorea Rendezvous that takes place the last weekend in June. Jointly sponsored by the Tahitian government and Latitude 38 Magazine, it’s a three-day party for cruisers. Many of the people we’ve met along the way are planning on attending so we’re hoping to renew some of those friendships. Keep watching this space for more details.